I can't believe I received some of the items I blogged about on Santes Dwynwen! If you were celebrating Santes Dwynwen, I hope you had a very lovely day. 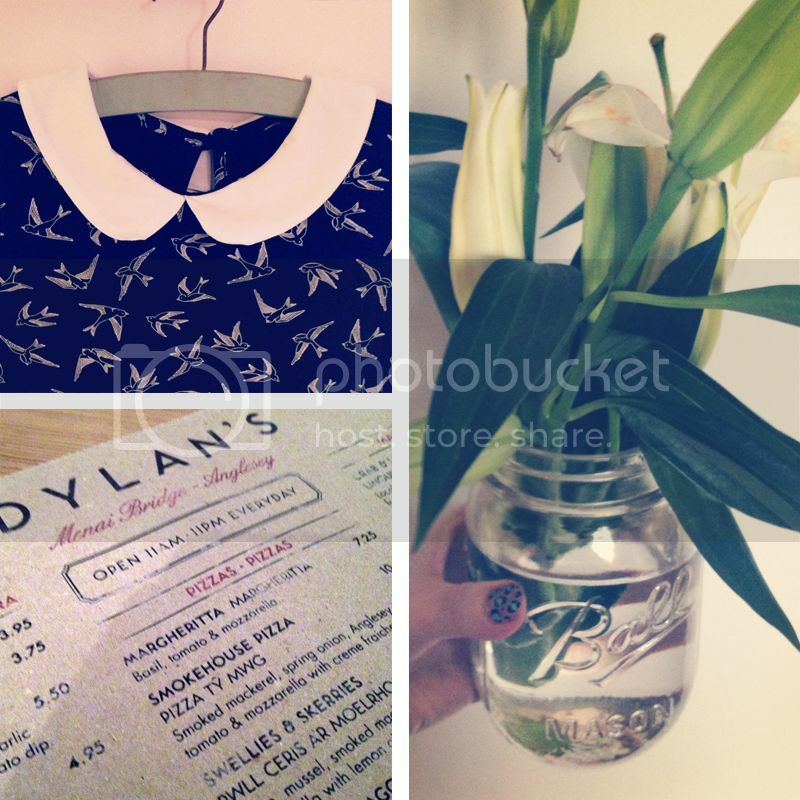 Our evening was spent at Dylan's - a very beautiful pizzeria in Menai Bridge. If you haven't been, I highly recommend it. Yesterday, we had a lovely walk at Newborough forest, but unfortunately it started raining, and we were unable to walk to Llanddwyn Island. A week on Tuesday, I'm starting my very own knitting club which I'm extremely excited about! I'll post some more details on here soon. I've also got a couple of knitting patterns to share with you - including a very lovely cable knitted bobble hat - an essential in this extremely cold weather!! I'm keeping this post very short and sweet - but I hope you had a very lovely weekend. 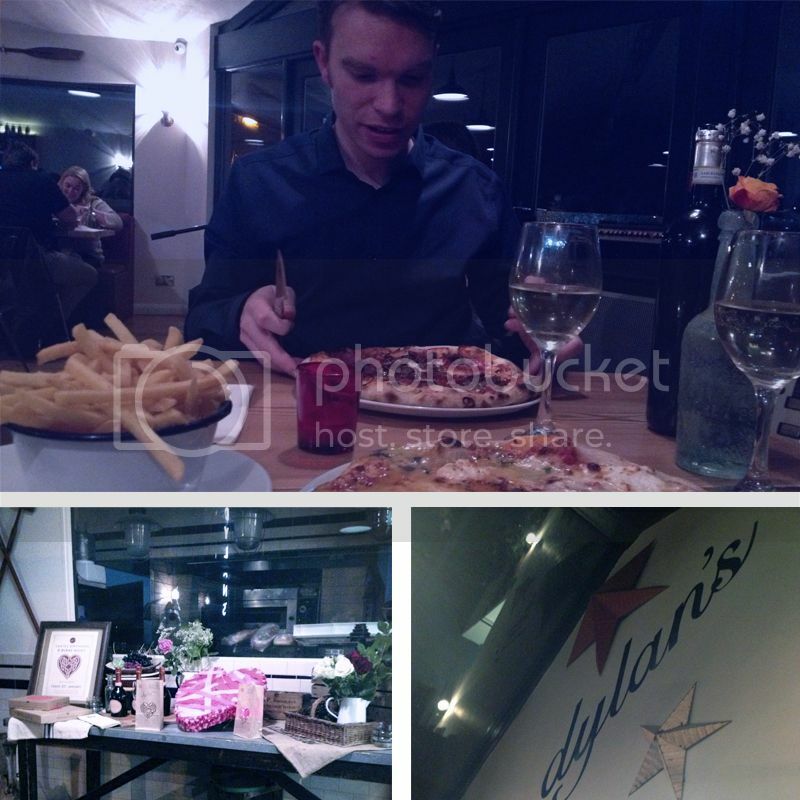 Thanks Fiona for posting your pictures of your night at Dylan's. We are so glad you had a good time. Looking forward to doing it all over again next year. Thanks Fiona for your lovely review of Dylan's we weren't there on Santes Dwynwen ourselves, we were at the Anglesey Tourism Awards receiving our award for best bistro/brasserie 2013. Hope to see you again soon. Diolch. Great post, found you through Dylans facebook page. I love Dylans especially their pizza! Thank you!! I know, so delicious... I'd live there if I could!